Stated Communications are the 3rd Monday of each month at 7:00 PM. A lodge dinner, beginning promptly at 6:00 PM, precedes each Stated Communication. The Masons of Widow’s Sons’ Lodge No. 60 help organize, contribute and participate in the Alzheimer's Association annual Walk to End Alzheimer’s® . This event is held annually in 600 plus communities nationwide and it is the world’s largest event to raise awareness and funds for Alzheimer’s care, support and research. Masons in our Lodge are proud to support these WALKs and other fundraising activities to help find a cure for Alzheimer’s (the 6th leading cause of death in America) and support all those affected by this disease and related dementias. Since the opening of that first hospital in Shreveport, Louisiana, Masons in the Shrine have helped more than half a million children. Surgical techniques developed in Shriners Hospitals have become accepted standards, and thousands of children have been fitted with braces and artificial limbs. 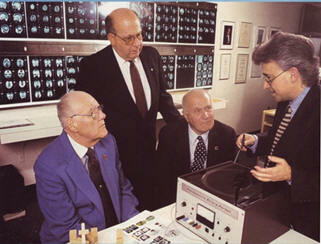 In addition, the Masons in the Shrine opened three Spinal Cord Injury Rehabilitation Units in the 1980s to provide treatment and therapy to children sustaining these devastating injuries. 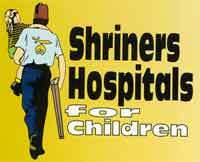 At Shriners Hospitals, children with orthopaedic or burn problems receive the best care available...Absolutely Free. 22 Shriners Hospitals Boston, Massachusetts Chicago, Illinois Cincinnati, Ohio Erie, Pennsylvania Galveston, Texas Greenville, South Carolina Honolulu, Hawaii Houston, Texas Los Angeles, California Lexington, Kentucky Mexico City, Mexico Minneapolis, Minnesota Montreal, Quebec, Canada Philadelphia, Pennsylvania Portland, Oregon Salt Lake City, Utah San Francisco, California Shreveport, Louisiana Spokane, Washington Springfield, Massachusetts St. Louis, Missouri Winnipeg, Manatoba, Canada. The Widow's Sons' Lodge Scholarship Program began in 1970 with the awarding of two scholarships in the amount of $200.00 each. 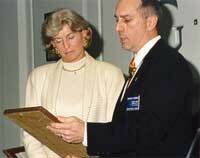 Over the past 40 years, the Lodge has awarded scholarships each year totaling $75,000.00. 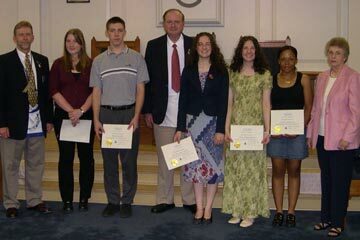 The program is prepared to award up to 5 scholarships each year in the amount of $2,000.00 each. The scholarships are awarded in the memory of Brother Francis V. Riddick, Brother Donald R. Wright, Brother Forrest S. Towe, and Brother Harry M. and Mildred Raulet. The Community Builders Award recognizes members of the community that are making a difference. Each year Widow's Sons' Lodge recognizes an individual, who in its opinion has made a difference in the lives of others through volunteer service. All members of Widow's Sons' and the fraternity as a whole are encouraged to give blood. Through participation in Community Blood programs, Widow's Sons' has donated countless pints of whole blood and platelets to those in the Central Virginia area. The Masonic Hospital Visitation Program for veterans hospitals is an outgrowth of the former Masonic Service Centers that were established near major military facilities during World War II. At the urging of Brother Harry S. Truman, the Masonic Service Association became one of the original participants in the Veterans Administration voluntary Services. with a corps of Hospital Representatives and other volunteers, the program has expanded into 151 of the 172 V.A. Medical Centers, several military and naval hospitals, and in 24 of the 44 State Veterans Homes. The Masonic support for the veterans includes more than 500,000 hours of time, mainly by volunteers, and at least 300,000 miles of driving. The Masons believe in serving those who served. The George W. Wright Tubercular Pavilion located on the grounds of the Blue Ridge Sanitarium was constructed by the Masons of Virginia to meet the needs of a suffering humanity. When the facility was completed, it was turned over to the Commonwealth of Virginia. The only stipulation was that any Masons needing treatment would be admitted with ten days. The cornerstone was laid on July 14, 1926. The lowest bid for the construction, $137,097, was submitted by the Wilson Construction Company of Charlottesville, and was owned by Harry M. and W. Ronald Wilson, members and Past Masters of Widow's Sons' Lodge No. 60. The dimensions of the building are 228 feet by 60 feet, and includes three floors and a basement. When the Pavilion was opened on April 5, 1927, it was the most modern and complete tubercular hospital in America. The first Superintendent and Medical Director was Dr. William E. Brown, a member of Widow's Sons' Lodge No. 60. Widow's Sons' Lodge annually recognizes Boy Scouts who have been awarded the status of Eagle Scout, and publicly recognizes local boy scout leaders for their service. The Widow's Sons' little league team were the champions of the Central League in 2006. The Masonic Knights Templar are Christian Masons. Just as Jesus gave sight to the blind during His ministry, Knights Templar Masons seek to save the sight of others through the work of their Eye Foundation. Established in 1955, the Foundation's objectives are to provide research, surgical treatment, and hospitalization for those who suffer from eye diseases including strabismus (or cross-eyes) in children and eye injuries which, if untreated might result in blindness. Those in needd are provided with the cost of treatment by physicians of their own choice, either in their hometowns or in placess they select. To date, the Knights Templar Eye Foundation has underwritten more that 42,000 cases. In the early 1950s, Scottish Rite Masons initiated a program to help children with speech and language disorders. 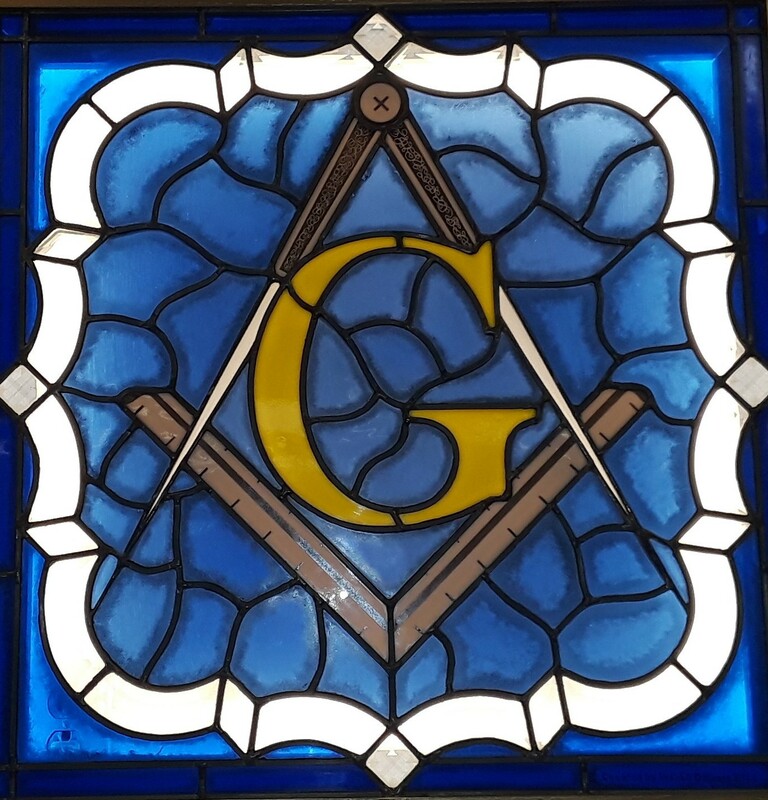 The success of the program has led to the establishment of over 150 clinics, centers, and programs supported by the Masons throughout the United States. These facilities accept preschool children who have difficulty speaking or understanding the spoken work or school age youngsters who have difficulty learning to read. All services are available regardless of race, creed, Masonic relationship, or the family's ability to pay. Helping children with speech and language disorders is a particular mission of Scottish Rite Freemasons and one of their many contributions to their community. 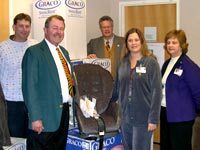 The lodge has donated several infant car seats to the University of Virginia Newborn Intensive Care Unit. For years, Widow's Sons' Lodge has supported the Masonic Child Identification Program (CHIP), which provides a free and confidential service to aid in the identification and recovery of missing children. The CHIP program provides parents with an identification kit and DVD of the child, including a fingerprint card, physical description, a video of the child, dental imprint, and a DNA sample. Widow's Sons' Lodge continues its community involvement through support of Ronald McDonald House Charities, which provides families with resources that ensure the health and wellbeing of children. Webmaster RW Philip H. Nelson, Jr. phone or text (434) 953-5226.